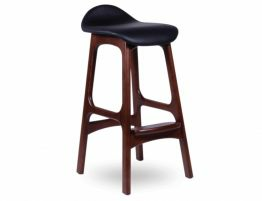 Our Scandi Bar Stool - Walnut Stained Solid American Ash w/ Black Italian Leather Seat are available in a walnut finished solid American ash with your choice of a black or white leather seat. 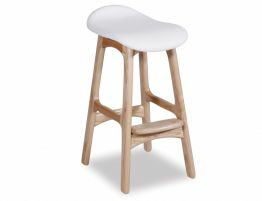 With simple clean lines, refined use of natural wood, ergonomic curved seat and generous foot rest, these kitchen stools are sure to become a favorite. 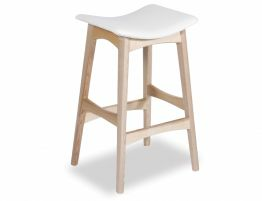 Our comfortable, modern, minimalist stool is upholstered in Italian leather and sturdy four point leg and made of Solid American Ash. 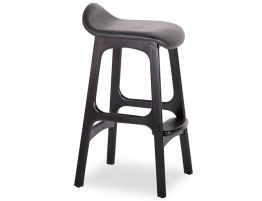 Similar in design to the Erik Buch Replica Bar Stool Take a seat on our version of this classic Erik Buch Mid Century Counter Stool reproduction and sit in comfort and style. 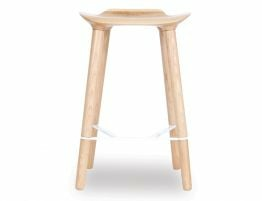 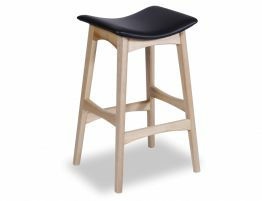 Our premium made stool offers solid hardwood construction great for heavy use and busy family kitchens. 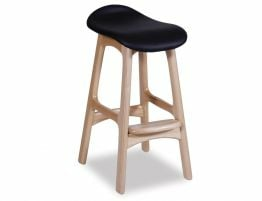 Relax House wants to put premium, designer quality products within your reach.